The theme of this year‘s gathering of Northeast Focusing-Oriented Therapists (FOTs) is “The Space Between.” As FOTs, we know and love this space. It is the space of the pause... the space where we can sense both the relational implicit and the unfolding of our inner process... the space which allows for a transformative process to occur. This is not just an intention. This is reflected in the way we shaped the retreat. There will be more space within each presentation or workshop: two hours instead of one and one-half-hour. And there will also be more "space between" for ourselves, i.e. more time during the day for spontaneous interactions and/or contemplative time. We will also be making space for a different kind of discussion: Topics that you would like to deepen through a discussion with other FOTs. When you register, or any time after that, contact us to tell us a little bit about topics that are of interest to you and you’d like to be discussed at our gathering. We will select two or three topics and give them space for group discussion. We hope that this setting stimulates our curiosity about the cross-fertilization between our role as FOTs and our other roles and interactions as human beings. How what we learn from our other interactions, our other roles (as parents, as spouses, as friends) helps us better function as therapists. And how being a therapist helps us in all of the various roles and interactions we have in our lives. We have space for 42 Participants staying at Mercy by the Sea. We hope you will join us. If you are a Focusing-Oriented Therapist (FOT), in training to become an FOT, a counselor or other helping professional who would like to learn about how we incorporate Focusing in our work, you are welcome. While prior Focusing experience is helpful, it is not essential to benefit from this conference. 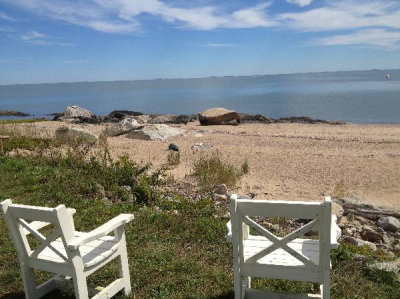 The Mercy Retreat Center is a lovely and serene waterfront property located on the Long Island Sound in Madison, CT. It is approximately 3 hours by car from New York City to the south or Boston to the north. Participants will learn to identify the space between as separate from the individual’s that are part of the interaction. Participants will gain practice in translating the theoretical model of interaction first into the felt sense experience that can be worked on in therapy. Participants will practice how to make the implicit space between into more explicit concepts for psychoeducation. Serge Prengel is in private practice in New York City. He is trained in Focusing, Core Energetics and Somatic Experiencing. 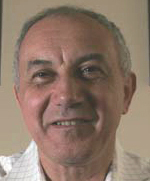 Serge is the editor of “Somatic Perspectives on Psychotherapy” and the Focusing conversations. He also edits Active Pause, a bridge between Focusers and other mindfulness practices that use a pause to shift from mindless default mode to mindful presence (http://ActivePause.com). Beth Mahler, LCSW, FOT is in private practice, in NJ, as well as internationally recognized for providing Focusing-Oriented Therapy and focusing training via skype, facetime, and Zoom. Using mind-body approaches to psychotherapy, listening enhances access to resilience, growth, healing, and change. As a Certifying Coordinator for The International Focusing Institute, Beth teaches a 2 year certification training course, as well as group workshops and retreats to teach self-care practices toward health and wellness. Beth teaches in the Sociology Departments at William Paterson University and County College of Morris in New Jersey. Visit www.focusingtherapy.org or https://njfocusers.wixsite.com/njfocusers. When you register, or anytime after that, contact us to tell us a little bit about topics that are of interest to you and you’d like to be discussed at our gathering. We will select two or three topics and give them space for group discussion. Using focusing principles we will discuss how reflective listening, curiosity and non-judgmental attitudes can nurture our relationships with our children. Through case examples and experiential exercises, we will apply the principals of Focusing to our relationships with ourselves as parents as a way to enrich our capacity to be present to the children in our lives. Kelley Bothe, LICSW is a psychotherapist practicing in the greater Boston area. Kelley brings Focusing into her work with individuals and groups and also enjoys teaching Focusing to small groups for personal enrichment. Julie Ramsey, LICSW, FOT is a psychotherapist in private practice in Wellesley, MA. She works with adolescents and adults in individual and couples therapy. Judy will guide you through the activity and provide time to break into dyads to further deepen your experience. Judy Garfinkel, MA, ACC, CFP, is dedicated to supporting people toward personal transformation through her career, life and learning coaching practice, Move Into Change. Her clients are primarily people ”in between dreams” looking for clarity and practical support on their journey. Judy’s embodied approach to coaching (even to the job search!) provides the space for clients to move forward through the coaching model. Judy’s abiding fascination with the body led her first to professional ballet and then to a 25+ year career in progressive education, where, working with children, parents and teaching colleagues, she championed the body’s wisdom as essential to all learning. In addition to her coaching practice, Judy has recently danced with Heidi Latsky Dance Company in NYC, and teaches improvisation dance classes to older adults. Through accessible poems, we will practice Focusing’s distinctive process that invites gentle awareness of what echoes inside. We will share poems with intention to listen and respond with our body-self. We will consider how a poem can invite clients to recognize their felt sense as a compass for their unfolding life path. We will discuss how poetry can deepen Focusing-oriented psychotherapy. Poems chosen include those by Mary Oliver, Wendell Berry, Pablo Neruda, and David Whyte. No prior reading of poetry is necessary. The instructor will provide poems; we will provide each other interactive Focusing and rich discussion. 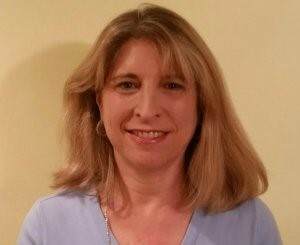 Sharon Heermance, Ph.D. is a psychologist with a private practice in Arlington, MA. She has studied Focusing with Joan Klagsbrun, Ph.D., and integrates this into her clinical practice. Higher education includes a doctorate in counseling psychology from Boston College and a Master of Arts in Teaching from Brown University. She has led workshops with community education in Massachusetts that integrate poetry with mindfulness. She has led workshops blending Focusing with poetry with Focusing New England, and in 2017 at the Focusing-Oriented Therapy conference. 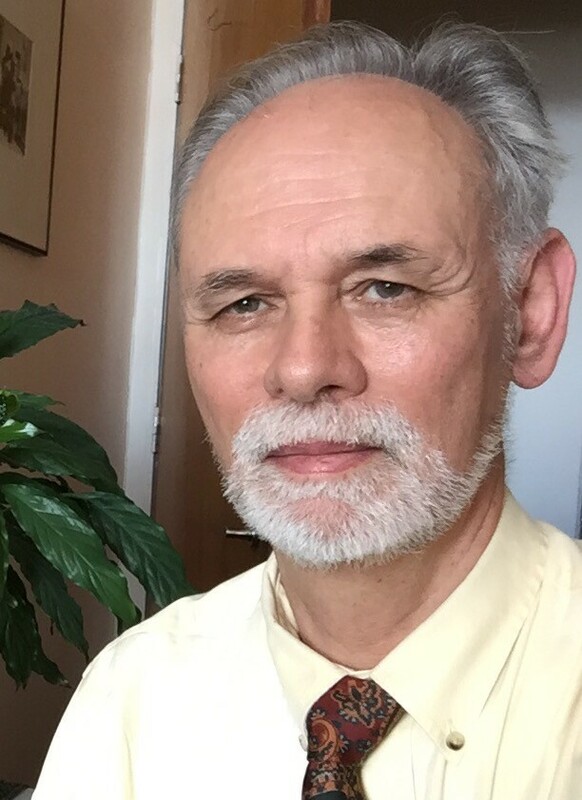 Charles F. Herr, Ph.D., clinical psychologist, retired in 2013 from 18 years at Gouverneur Healthcare in New York City, where he served as director of Psychological Services and director of Internship Training. He is now in part time private practice. In addition to Focusing, he is extensively involved in the Nonviolent Communication community in New York. In this workshop, I will review some of the most relevant findings from Positive Psychology that pertain to psychotherapy. We will reflect on positive defining moments in our practice as therapists that have impacted us and brought us greater wisdom or joy. We will then use Focusing to explore qualities such as acceptance, compassion, gratitude and generosity, that are among the 8 Pillars of Joy, (as defined by the The Dalai Lama and The Archbishop Desmond Tutu in their book, The Book Of Joy.) Our shared experience together will aim to enrich our own lives, and to offer us fresh ways to deepen and broaden our work with clients. This will enhance your heart – beat, and flow, and space, connecting to yourselves and each other and our Earth. All are welcome, wherever you are on the continuum of interconnecting. You will all take home a recycled CD personally designed with your forward-felt-steps. Dr. Wendi S. Maurer is a Certified Focusing-Oriented Psychologist in California and Indiana; in private practice for over 25 years, and is active on the TIFI Membership Committee. Dr. Maurer has taught many Focusing classes. Look for A Taste of TAE and Being Human - Losing, Living and Carrying Forward. She specializes in Healthy Coping and Meaning in Life, Grief and Loss and helping others find their spirit. Learn more at drwendimaurer.com. Sophie Glikson, LMHC, FOT, MA, offers Expressive Arts Therapies, Creative Life Coaching, and Supervision in Massachusetts, since 1989. She works with adults and children integrating the Focusing approach with the medicinal power of the Arts. She taught for 16 years at Lesley University in the Expressive Therapies Department, and now her life research involves how our creative intelligence accesses pathways to make positive changes for our hearts and well-being, and for our Earth. 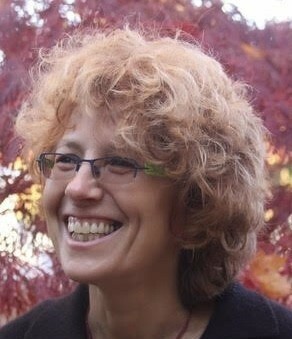 You can learn more about Sophie Glikson’s artwork and creative life coaching at sophieglikson.com. Key elements such as emotional regulation, tracking trauma through time, and unwinding vicarious and intergenerational trauma will be highlighted. As Focusing-Oriented therapists we are client centered and often hesitate to direct the interaction when appropriate. It is essential when working with trauma spots that the therapist know the landscape and take charge to both keep the client safe and help them find and unwind partial selves, places in time where frozen structures exist and safely enter and leave those places with minimal disruption to the client. Trauma is something we all have experienced. Suffering is something that longs for the intimate connection with another. When we learn to turn warmly toward ourselves we grow our capacity for making space for the other, the “one in there” who suffers. This interaction is an act of love. Demonstration: I would like to work with one person who has something going on in their life (an edge) and is willing to have an FOT session in front of others. I do this with all my students and wonderful gifts for them and others are revealed in the process. When someone risks opening themselves to themselves and others something sacred is created. This is my hope. Having passed into the realm of the spiritual, our ancestors or benefactors possess equanimity, egolessness, and affective distance that may be difficult to access on our own, especially when flooded with difficult thoughts and emotions. They can offer a wider perspective that comes from having watched human history evolve and devolve over time as well as the wisdom they’ve gotten from their own lived experience. FOT can facilitate embodied connection with our ancestors or benefactors, helping us to feel unconditionally loved, cared for, comforted, and guided by them. In this experiential workshop, participants will practice using Focusing questions and techniques with people from their family lineage or their “chosen family”, so that these beings can become a refuge they go to for strength, inspiration, wisdom and solace in times of adversity. 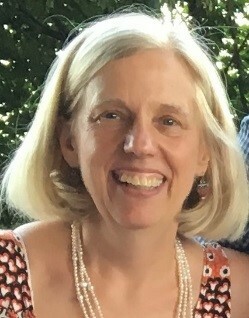 Beilah Ross, LICSW, gained certification as a Focusing-Oriented therapist in 2009. 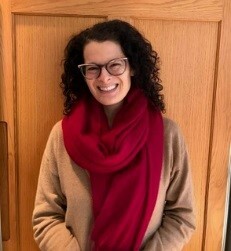 She works in private practice with adults, couples and children, using Focusing and other experiential modalities to help her clients connect with body-centered wisdom. She teaches Focusing to individuals and groups through community workshops. She also runs workshops on healing inter-generational trauma using FOT and is interested in how Focusing with ancestors can support activism for racial justice. This will all be discussed in terms familiar to the Focuser. This will help create a rich sense of how we can bring Focusing and the insights of Zen practice into our moment to moment awareness. Zen Meditation is not well understood in America. Traditionally, it is a group activity, embedded in a matrix of service, labor, study, and relationships. We will explore the history and evolution of Zen Meditation. Focusing, with its emphasis on relating to others and the direct experience of a fluid self has much to offer us as a bridge or complementary practice to meditation. Peter Ryan Hae Il Sabom Nim (M.Sc. F.O.T.) is a psychotherapist, literature teacher, poet, and Zen Sword instructor. He is a long time student of the Zen Master Chang Sik Kim, founding master of the martial art, Shim Gum Do. Peter is founder of the Zen Buddhist high school Tinicum Art and Science and Dean of The Lotus School of Liberal Arts. With Jim Strohl, Ed.D. & Laurel Leland, M.S. Presence is known to be essential to psychological healing and spiritual awakening. Therefore, it’s imperative that therapists readily embody and maintain presence which takes time and practice to perfect. This workshop provides an informal, safe, friendly space for deepening our understanding and direct experiencing of presence through the use of experiential exercises and group sharing. Incorporating presence into clinical practices will be emphasized and the transcendent, spiritual elements of presence will be thoroughly considered. We hope to show how presence is vital for therapeutic change to occur. We’ll explore how being fully present facilitates access to deeper levels of existence, including a boundless state of quiet stillness, contentment, and peace from which all experience and transformation arises. This will invite us to go beyond the concept of self-in-presence to experiencing self-as-presence. This way of being transcends mind and observes the mind. We’ll also show how presence, in its purest sense, overcomes resistance and promotes spontaneous healing by facilitating interconnectedness and wholeness. 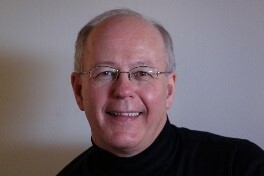 Jim Strohl, Ed.D, is a licensed psychologist and Certifying Coordinator for the International Focusing Institute. He has taught, supervised, and counseled for 41 years and served as an Adjunct Professor at Chestnut Hill College for 17 years. 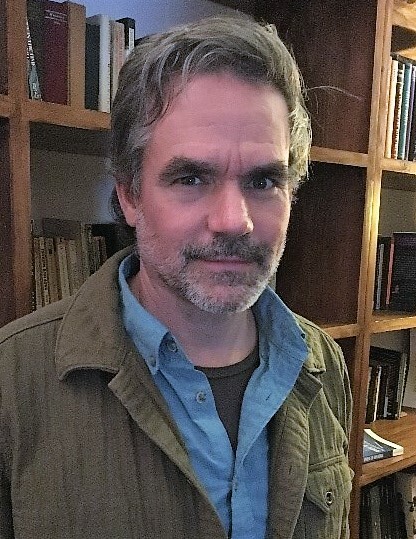 His approach synthesizes classical training in counseling psychology and indepth spiritual direction in numerous methods of spiritual development. Laurel Leland, M.S., is a licensed psychologist and Certified Focusing-Oriented Therapist for the International Focusing Institute. Laurel has counseled in medical, hospital, and private practice settings for 36 years. She currently works privately providing counseling and teaching services in mainstream psychology and spiritual psychology. These classes will be a combination of structure and felt sensing that may include Yoga poses and sequences, brief meditations, intuitive movement, and breath work designed to open, relax, energize, and prepare the body for the day. Sandra Constable has taught Yoga for over 15 years. She has been a long-time practitioner of Yoga and is honored and grateful to have studied in a variety of traditions with many Master level teachers. She has completed three yoga teacher trainings: A 500-hour training with Parvati Nandanath Saraswati, (Kirin Mishra), A 200-hour Alignment Focused training with Naime and Sue Jezzeny, and a 100-hour training with Yoga Ed. (A program designed to bring yoga into schools). In addition to teaching Yoga, Sandy has a Bachelors degree in Fine Art, a Masters degree in Counseling, and is currently working as an independent Therapist and Coach, combining all of her education and skills to create a unique, safe and healing, mind / body experience. Member Discount - TIFI members who pay 2018 dues before registering, $25 off. Registration closes November 7, 2018. Retreat Photographer: $100 USD off current registration fee – must have own digital camera or high quality phone. Please submit 2 photos you have taken of people interacting (not posed). Ideally, this person will coordinate onsite with the Social Media Uploader position offered below. Positions can be combined if you have expertise with uploading to Facebook. Position filled. Retreat Videographer: $100 USD off current registration fee – must have own video camera. Please submit two short videos you have filmed and/or edited. Social Media Uploader: $75 USD off current registration fee – coordinate daily with retreat photographer (or take a few suitable photos yourself) to upload to the Institute Facebook page all 3 days of the retreat. Position filled. A full refund minus a $50.00 administrative fee will be given to participants who cancel by August 11, after August 11th and before September 11th, 50% of the conference fee will be refunded. After September 11th, the conference fee is non-refundable. Workshop check-in: Friday, November 9, 2018 between 4:00 pm and 5:30 pm. Workshop check-out: Room check-out will likely be in the morning but our conference will conclude at 2:00 pm. The International Focusing Institute, Inc. is recognized by the New York State Education Department's State Board for Social Work as an approved provider of continuing education for licensed social workers #SW-0055. Contact Hours awarded will be awarded for some presentations. Specifics to be added soon. For program questions please email Beth Mahler or Serge Prengel. All workshops will be presented in English. Please note: Registration for this event is now closed. -- Choose Room and Board -- Double, non-member ($455) Double, member ($430, after $25 discount) I have paid my 2018 dues; if not, charge the dues now.